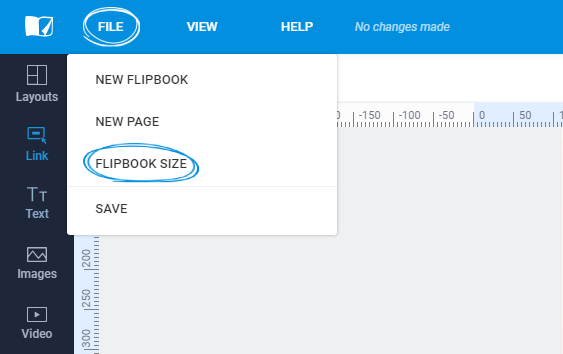 How to resize your flipbooks. Have you ever realized that your flipbook is not the size you need after or while creating it? We know how frustrating it is to start everything all over again. That's why we're making things easier for you so that you can save up precious time! Keep reading to find out how you can resize the flipbooks that you make from scratch. 1. In the editor, click on the File button in the upper-left corner of the page and select Flipbook size. 2. 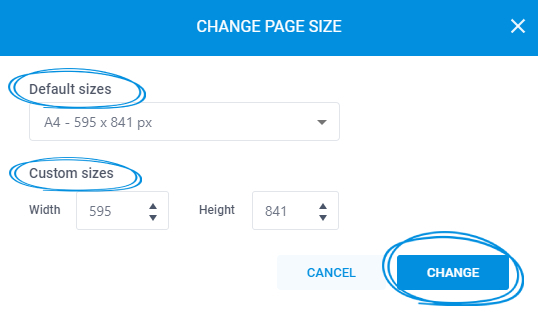 Select a default size or set your own custom size then click Change. Important: When you change the size of the flipbook, the elements on the pages remain at the initial size and will need readjustments. We hope you enjoy this new feature! If you have any questions, please contact us via live chat.